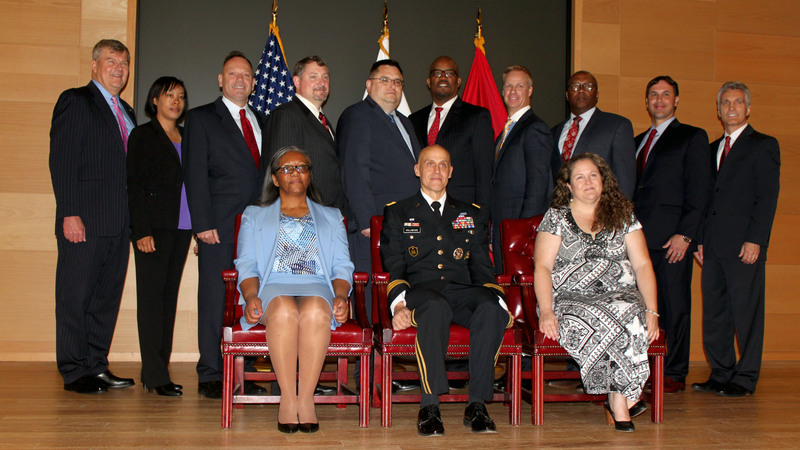 FORT BELVOIR, Va. (May 21, 2018)—Nominations for the 2018 Undersecretary of Defense for Acquisition and Sustainment (USD(A&S)) Acquisition Awards are now being accepted, providing the Army acquisition community with an opportunity to showcase some of its most noteworthy accomplishments. The Defense Acquisition Workforce Development Innovation Award recognizes organizations for exceptional outside-the-box thinking and progress in tackling workforce development challenges. The Defense Acquisition Workforce Individual Achievement Award recognizes individuals in each of the 17 acquisition functional disciplines. The David Packard Excellence in Acquisition Award recognizes civilian and military teams that demonstrate innovation and technical excellence in acquisition to achieve more cost-effective outcomes for the warfighter and the taxpayer. The Flexibility in Contracting Award recognizes DOD civilian and military professionals who have, in their approach to program management and contracting, demonstrated innovation and local adaptation by using the flexibilities and authorities granted by the Federal Acquisition Regulation and DOD Instruction 5000.02, Operation of the Defense Acquisition System, to increase the efficiency of programs. 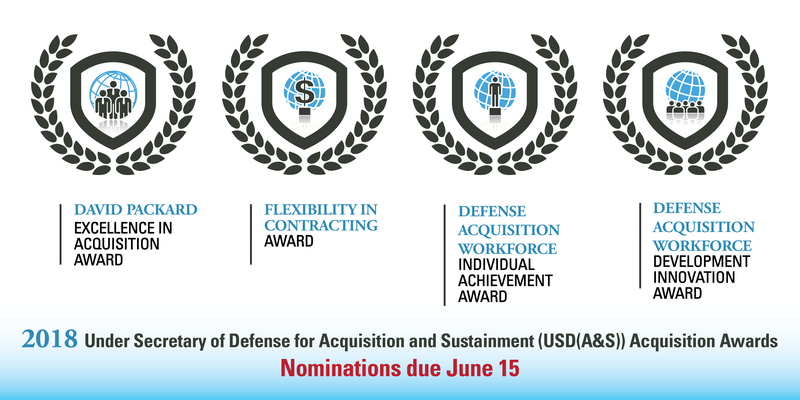 All nominations must be submitted online at http://asc.army.mil/web/acquisition-awards/ by the close of business on June 15. As the official collection point for Army nominations, USAASC will compile the nominations and submit them to senior leadership, which will then submit the strongest applications to USD(A&S) for consideration. The Secretary of Defense Product Support Manager (PSM) Award is also accepting nominations. 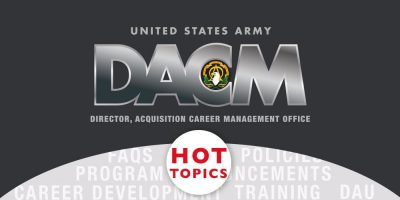 This award recognizes the PSM accomplishments and contributions in two categories: Major Defense Acquisition Programs/Major Acquisition Information Systems, Acquisition Category (ACAT) I PSMs; and Major Weapon System/Other Weapon Systems, ACAT II and below PSMs. The deadline for submitting nominations for this award is midnight EDT on June 22. Winners will be announced later this year or early next year. Detailed information on each award and instructions on submitting nominations can be found at https://asc.army.mil/web/acquisition-awards/. Read through all of the instructions before you begin and make sure you understand all of the deadlines, page limits and information requirements. As you’re writing up the nomination, be specific and concise: What was the challenge? How was it overcome, and what puts that solution head and shoulders above the other nominees? Before you hit send, proofread. Then proofread again. Extra time invested in writing your nomination pays dividends once the winners are announced.